Both the Sean and Michael Caine inspired "Yvan" frames sold out quickly during the introduction of the collection last year. Now both these frames are available again. British optical specialists Curry & Paxton first made precision lenses and ophthalmic instruments during the Victorian age and fast became one of the most respected names in their field. In the 1960s, Curry & Paxton provided eyewear to famous customers, including Sir Michael Caine. 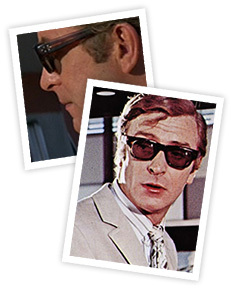 The style of sunglasses worn by Caine, for example in The Italian Job (1969) and the 1965 classic Harry Palmer film The Ipcress File, became a part of his iconography. 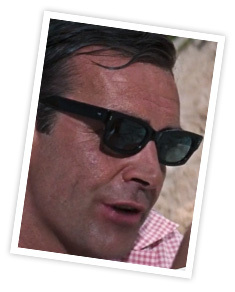 Sunglasses are even mentioned in that film, when Harry Palmer is asked by Courtney, a beautiful woman with whom he works, if he always wears them. "Yes, except in bed," replies Palmer, to which she pointedly removes them. Today Curry & Paxton have returned, offering a fully bespoke service, with custom high-grade cellulose optical frames from world-renowned Italian manufacturer Mazzucchelli, and prescription lenses. To celebrate the relaunch of the company, Curry & Paxton are also offering a Ready-to-Wear sunglasses collection, exclusive to Mason & Sons, inspired by classic frames worn by some of the greatest icons of the 20th century, Sean Connery, Michael Caine, James Dean, Cary Grant, John Lennon and Robert Redford. The Curry & Paxton Sean model is the result of painstaking research and investigation and have been recreated from an original, vintage pair of sunglasses, identical to those worn by Sean Connery in Thunderball. 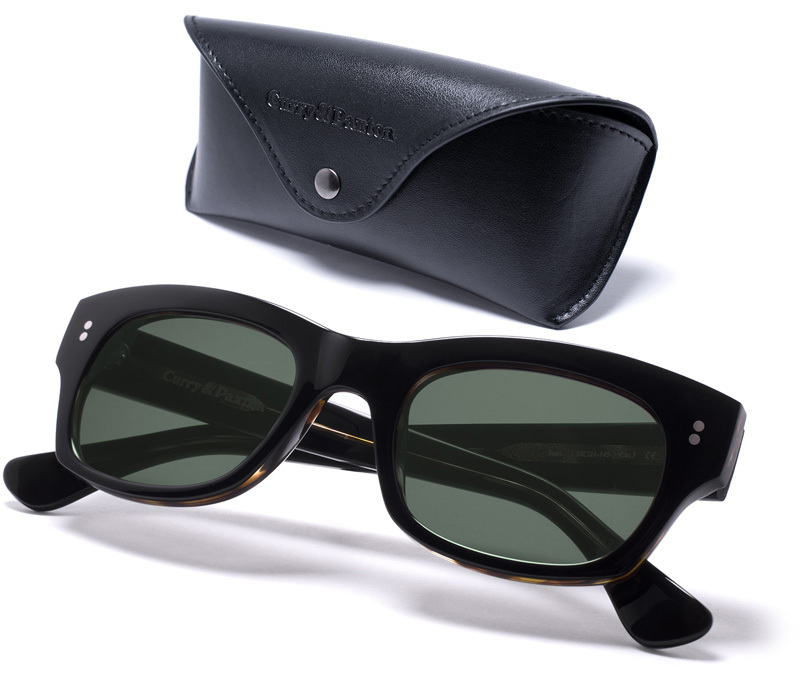 These wayfarer-style sunglasses are the closest model you can get to the originals. The Curry & Paxton Yvan, inspired by Michael Caine's sunglasses worn in The Italian Job and Harry Palmer films. 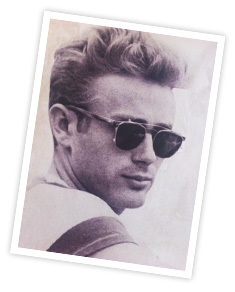 The Curry & Paxton Dean clip-on sunglasses inspired by style icon James Dean were cool in the 1950s and the style has come into fashion once again. Available in two colours, the Curry & Paxton James model reflects these timeless sunglasses. Cary Grant was a British-American actor, known as one of classic Hollywood's definitive leading men. 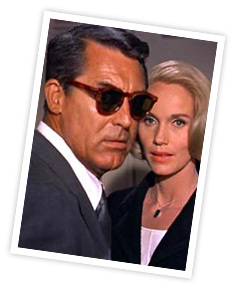 The Curry & Paxton Cary model pays tribute to style icon Cary Grant's pair of classic tortoiseshell sunglasses seen in North By Northwest (1959). The Cary glasses are available in Dark Tortoise or Vintage Tortoise at Mason & Sons. From the purely round glasses to these slightly more oval frames, no other person made the round sunglasses look as cool as John Lennon. 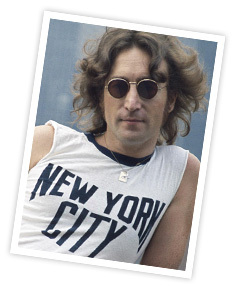 The Curry & Paxton John model is inspired by the frames worn by Lennon in the movie How I Won The War (1967) and the sunglasses worn in the famous New York City shirt photos of Lennon by Bob Gruen. The Robert model from Curry & Paxton pays homage to Robert Redford's iconic aviator sunglasses. 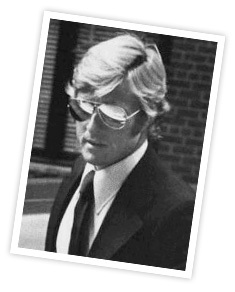 The classic aviator frame is timeless, and Redford wore them in a variety of styles, including as opticals. The steel framed Robert model, with diamond-coated lenses, look every bit as cool as the man himself. Available at Mason & Sons with Diamond Mirror Lenses or Bold Mirror Lenses. The Curry & Paxton Ready-to-Wear Icon Collection is available exclusively at Mason & Sons, visit their website for more photos of the style icons and the complete Curry & Paxton collection.